La fiducia incoraggia i consumatori a sperimentare e fare acquisti ed è, quindi, necessaria a sostenere nuove imprese, aumentare la concorrenza e creare crescita. Troppo spesso però, l’accesso alla giustizia per i consumatori diventa insostenibile a causa di sistemi poco trasparenti, costi proibitivi, complessità del contenzioso e mancanza di tempistiche chiare. Questi fattori critici diventano gravi ostacoli in Italia, un paese che soffre di un sistema giudiziario cronicamente inefficiente. Secondo i dati (World Bank’s Doing Business 2019), nel 2018 l’Italia si è classificata al 111° posto di 183 paesi per quanto riguarda l’efficienza del contenzioso civile. 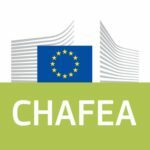 Il progetto “YesSsi – Simple Access to ADR for Consumers”, della durata di 12 mesi, mira a promuovere e facilitare un accesso diffuso e rapido agli Strumenti di Alternative Dispute Resolution in Italia, fornendo ai consumatori un modo semplice e conveniente di salvaguardare i loro diritti e impegnarsi in transazioni commerciali con fiducia. Coinvolgere e riunire aziende e professionisti offrendo loro il supporto IT nella gestione dei loro compiti ADR. Set up their professional profile, apply to job vacancies posted by business companies on a daily basis and find work positions best suited to their ambitions. Thanks to Tutored, businesses have the opportunity to enhance their visibility within a highly targeted social students hub and to carry out employer-branding and tailored engagement actions, through direct links with a community of young Millennials who constantly interact with each other on the platform, in search of the best work or internship opportunities. The financial support provided by Invitalia through the Smart&Start programme will allow Tutored to expand its community of university students and graduates across Europe, to validate its business model addressed to companies in Italy and in the Countries where Tutored is already present, like Spain, France and Germany, and to open up new markets. In order to reach these goals, Tutored intends to upgrade its App with new advanced functions for students and businesses, through the use of highly innovative technologies based on Artificial Intelligence (AI) and Machine Learning (ML) systems. The platform implementation will contribute to bringing university students and newly graduates closer to business through sophisticated online instruments of employer branding, fostering interconnections and contributing to enhance the applicants skills and optimizing the screening and recruiting processes. Project Partners: Steinbeis Beratungszentren Gmbh (Germany), Mediatorzy (Poland), Prodos Consulting (Italy), Akademie für Mediation, Soziales und Recht der Steinbeis-Hochschule Berlin GmbH (Germany). The number of inheritance cases with cross-border implications is rapidly growing due to the increasing mobility of European citizens. 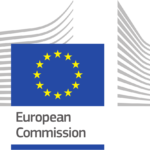 Despite the numerous initiatives carried out at EU level to promote mediation as a cost-effective solution to simplify cross-border disputes – namely the Directive 52/2008 and the Regulation 650/2012 – the extensive implementation of the EU provisions is still hindered by multiple obstacles, mainly related to the lack of a mediation “culture” in Member States. In this framework, FOMENTO aims to promote a deeper understanding and the correct implementation of EU provisions in the context of cross-border civil and succession matters. The data collected through expert interviews and online surveys will be used to develop best practice proposals for dealing with conflict prevention and resolution. • Research report about changes and possible difficulties after the implementation of Succession Regulation and possible fields of application for mediation. • Wide European network of professionals and stakeholders aimed at promoting further cooperation in the mediation field. • Training events and workshops for mediators and legal professionals specifically intended to enhance the quality of mediation services. • Guidelines and electronic booklets for EU professionals and citizens in 4 languages (English, German, Italian and Polish). • Animated videos clearly providing information about the benefits of using alternative methods of international dispute resolution. The Consortium for the Protection of the Lametia PDO (Protected Designation of Origin) extra virgin olive oil, gathers about 10 production realities belonging to Lametia Terme in the province of Catanzaro and produces an extremely valuable olive oil that has been awarded the PDO trademark by the European Union in 1999. With a view to enhancing the value of agri-food products bearing the Protected Designation of Origin (PDO) and the Protected Geographical Indication (PGI) labels as an essential resource for guaranteeing sustainable development of the territory, the Consortium intends to raise awareness among the final consumers about the origin, the properties and the relevant features of extra-virgin olive oil bearing the EU quality trademark in order to foster purchase and consumption preferences that are aware of and oriented to the quality of the product and the territory of origin. The creative contents of the initiative are designed to develop an integrated image that involves the product, the territory, the actors of the supply chain and the institutions through effective forms of coordination. The goal is to evoke both the historical and cultural dimension of the territory of origin as well as the intrinsic qualities of the certified product. In order to ensure maximum coverage of the initiative, the communication strategy will focus on the high potential offered by the web channels, such as social media and blogs. In addition, informational and recreational events will be held in the area, aimed at promoting the historical and cultural heritage lying at the heart of PDO and PGI certified products through effective forms of coordination with the various local players (producers, distributors, tourist offices, public administrations, accommodation facilities and other organizations). For more than 15 years AIMaC has provided cancer patients and their families with personalized and exhaustive information through the National Service for Reception and Information in Oncology – SION. The service consists of a nationwide, network-based model for oncology information which helps promote the health literacy of citizens about cancer, improving awareness of their rights and of the resources provided by the system, the current state of research and health care. The service is based on a network of 40 Information Points (IPs) set up in the oncology facilities of university polyclinics and hospitals. This interactive network represents an authoritative source of information allowing citizens, healthcare professionals and the media to access timely and relevant documentation for all topics related to cancer. Training 140 voluntary operators at AIMaC information points to improve their communication and organizational skills. In rural areas of Albania the youth have few opportunities to achieve their goals and fulfil their aspirations. Young people receive little support from the community which usually regards them as troublesome rather than as an asset for the society. NSGK, an Albanian association with a long experience in the field of social inclusion, democratization and human rights, intends to empower children and youth to be true agents of innovation and social change in their communities. The project addressed important issues such as gender equality, child abuse, career development and sexual healthcare, through an innovative approach combining peer-to-peer training, dramatization, awareness-raising campaigns, art exhibitions. Effective methods and techniques were used during all training activities such as small group discussions, role plays and case studies. The initiative involved over 700 students from 9 schools in the district of Kuçove. Tutored is a social platform where university students can meet to improve their university life and accomplish all the priorities they set during their academic career, for example the selection of the University more in line with their educational needs, the preparation of tests and exams, or even the possibility of starting an Erasmus experience. Specifically, Tutored offers an online and offline tutoring service through which students who need support in preparing for an exam can plan lessons with a more advanced (or newly graduated) student from their own university who successfully passed the same exam. As a result of its structured growth plan for 2015-2017, aimed at ensuring presence of the service in all Italian regions and activation in Europe and implementing additional services, Tutored was able to benefit from a direct grant from the Regione Lazio. The grant made use of the resources provided by the “Fund for the Creation and Development of Innovative Start-Ups”, dedicated to the development of new business projects, implemented by SMEs established or being established in throughout Lazio. Project Partners: Scuola superiore dell’Avvocatura (Italy); Organizatia Salvati Copiii (Save the Children Romania); Defence for Children International; Instituto de Apoio à Criança (Portugal); Merced Migraciones Foundation (Spain); Liverpool Law Clinic and European Children’s Rights Unit, School of Law and Social Justice, University of Liverpool (UK). 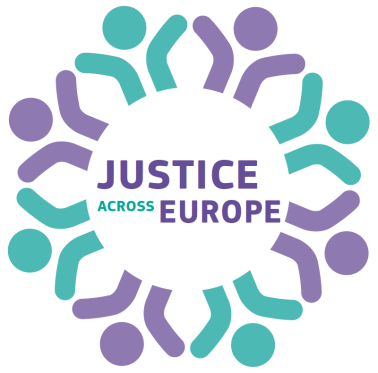 T.A.L.E.‘s main objective was to offer specialized training for legal operators representing children in judicial proceedings, on international instruments aimed at promoting and protecting children’s rights and on the correct implementation of the Council of Europe Guidelines for a child-friendly justice. Furthermore, T.A.L.E. intended to promote the exchange of information and best practices concerning the rights of minors among legal professionals across Europe. The training program was designed to provide theoretical and practical tools to lawyers representing children, also through the discussion of real case studies. T.A.L.E. was based on a participatory approach focused on the voice of the children involved in judicial proceedings, in order to ensure the inclusion of their needs and points of view in the development of languages, tools and materials for training the lawyers who represent them. One of the focus areas of the project was capacity-building through the organization of training workshops in each country involved, the development of online training modules and the dissemination of training materials tailored to the different legal contexts of EU Member States. Project numbers: 100 selected lawyers from the major organizations took part in the training sessions; 1000 lawyers were the final beneficiaries of online training materials; 50 minors were involved in consultation activities. Project Partners: Cancer Patients Association of Slovenia (Slovenia); League Against Cancer Bitola – FYROM (Republic of Macedonia); Romanian Oncology Association “Saint Anna” (Romania); National Association of Patients with Oncological Diseases -APOZ (Bulgaria). The scientific literature has shown that adequate information allows cancer patients to become more aware of their illness, increasing adherence to and compliance with therapeutic prescriptions. Today, new ICT technologies play a crucial role in guiding patients in the independent search for specific information on their state of health. However, on the Internet it is not an easy task to identify reliable information from the point of view of clinical and scientific accuracy and of unbiased news sources. Promoting accessibility to correct online information in countries where Internet access is inadequate, by providing hardware devices to organizations connected with ECPC. Developing an e-learning course, aimed at improving the ability of patients to use the web to access specialist and unbiased information sources, through the use of reliable databases. Empowering cancer patients to express their needs at the political level on a national and international scale through advocacy tools, social networks, websites, etc. The project achieved excellent results, allowing the organizations involved in the initiative to gain greater visibility on social media, share best practices with other ECPC members, implement online awareness campaigns, create promotional materials, adequately guide and support their patients. Project funded by the Italian Ministry of the Interior – Department for Civil Liberties and Immigration. In order to fully recognize people’s right to a dignified life and to play their full part in society, the “Tree of Life” project aims to work against the social exclusion of people with cancer, including the elderly and their caregivers, whether they are currently employed or not. Through the implementation of information and training activities, the project aims to facilitate access by cancer patients and caregivers of all ages to social welfare services (integrated home care, ordinary home care, day care, comfort-giving initiatives, etc. ), and to provide them with practical information on how to submit a disability allowance application. The project also aims to ensure that oncology patients in working age and their caregivers can maintain their occupational position, allowing them to reconcile work and care. The project aims to raise awareness ‒ among caregivers of elderly cancer patients – about the resources and services outside the family that support caregiving activities and to promote interaction between the elderly and young family members, caregivers and volunteers. Training for cancer assistance volunteers. Recent epidemiological studies show that the incidence rate of cancer is related to the usability of prevention, early diagnosis and screening programs available (Pap test, VPH, mammography, and clinical breast examinations). The statistics highlight that migrant women access screening services for prevention of female cancers to a lesser extent compared to Italian and thus arrive to effective treatment only in advanced stage of cancer, with a reduced chance of recovery. In this framework, the pilot-project “Foreign Women Cancer Care” was aimed at facilitating the access of foreign women resident in Rome to the screening programs for the prevention and treatment of female tumors. Specifically, the project aimed to reduce socio-cultural and economic barriers that hinder access to appropriate care, to increase awareness of foreign women in the prevention, diagnosis and treatment of female cancers, to improve reception, assistance and counseling services and facilities, to foster the inclusion of migrant women in clinical trials and their active involvement in therapeutic choices. The project, concluded in June 2014, raised a strong interest in many public and private institutions, that promoted awareness activities and made their operational structures and facilities available to screening and care services for migrant women. Thanks to the activation of a territorial network involving private social and health institutions, migrant women have been informed and accompanied through existing prevention and care pathways. The project produced remarkable results (2000 oriented women, 150 women effectively hospitalized for screening tests, early diagnosis of 8 cancers, diagnostic and therapeutic pathways activated; 100 free doses of HPV vaccine administered) and enabled important best practices (public/private alliance, strong cooperation between health operators and migrant communities).